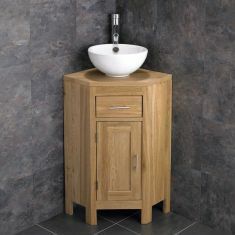 Our selection of Oak Corner Sinks and Basins. 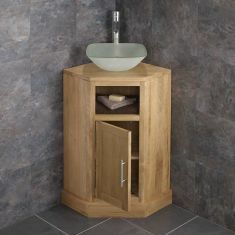 Our range of solid oak corner vanity units was designed in-house after listening to what our customers wanted. 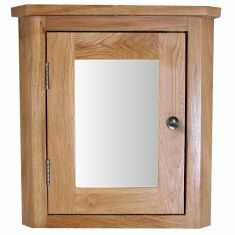 We had so many requests for corner cabinets that we set our design team the task of coming up with a selection of beautiful solid oak designs. 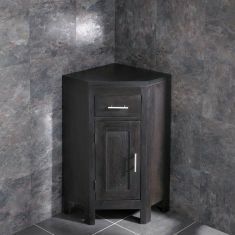 The result was the collection of products below, with both large and small corner cabinets showing off a number of different designs. 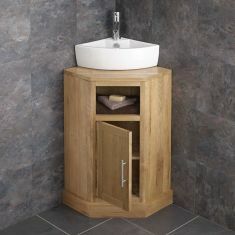 Corner vanity units are a great way to make the most of the space that your bathroom has available and our two sizes ensure that there will always be something that’s right for your home. 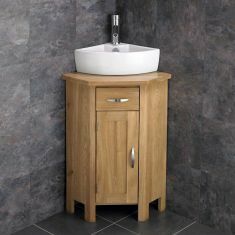 Click Basin’s small corner units are perfect for when space is at a premium in cloakrooms and en suites, while our large vanity units give great storage capacity for larger, family-size bathrooms. 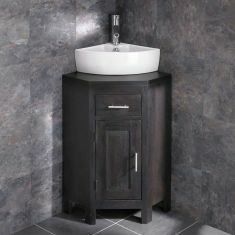 Whether you opt for large or small units, any size can accommodate one of our stunning countertop basins. 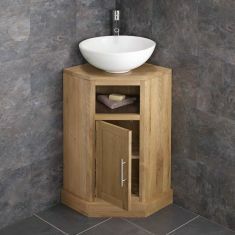 As you can see from the products above, all of our cabinets can be bought in a set along with various different basins, including corner and rounded styles. 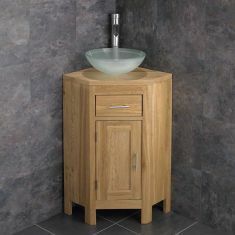 A matching tap and waste set will also be supplied. 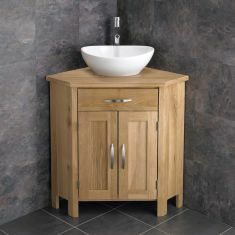 Our corner bathroom cabinets come in three main ranges: Cube, Alta and Ohio, with both natural oak and Wenge oak options available. 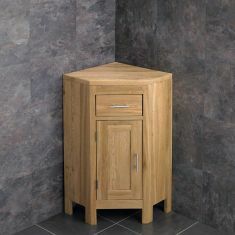 Pulled from our three ranges Cube, Alta and Ohio and in natural oak and Wenge oak, there is a style and colour to suit every taste. 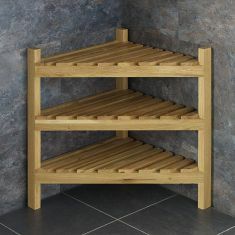 Explore the range below to see the different choices you have for draw, cupboard and shelf configurations, alongside different colours and handle styles. 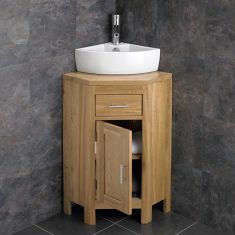 Whichever cabinet you choose, every Click Basin corner unit arrives fully assembled. 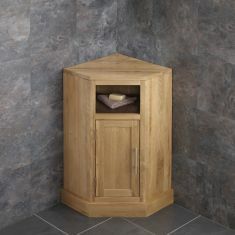 You don’t have to worry about flat packs, chipboard or veneers. 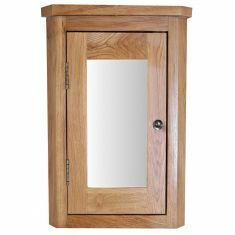 Just choose the unit you like and we’ll deliver it fully constructed to your door for FREE, ready for you to use straight away.